Though reaching ever further toward the skies, today’s cities are overshadowed by multiple threats: climate change, overpopulation, social division, and urban warfare all endanger our metropolitan way of life. The fundamental tool we use to make sense of these uncertain city futures is the imagination. Architects, artists, filmmakers, and fiction writers have long been inspired to imagine cities of the future, but their speculative visions tend to be seen very differently from scientific predictions: flights of fancy on the one hand versus practical reasoning on the other. In a digital age when the real and the fantastic coexist as near equals, it is especially important to know how these two forces are entangled, and how together they may help us best conceive of cities yet to come. Exploring a breathtaking range of imagined cities–submerged, floating, flying, vertical, underground, ruined, and salvaged–Future Cities teases out the links between speculation and reality, arguing that there is no clear separation between the two. In the Netherlands, prototype floating cities are already being built; Dubai’s recent skyscrapers resemble those of science-fiction cities of the past; while makeshift settlements built by the urban poor in the developing world are already like the dystopian cities of cyberpunk. Bringing together architecture, fiction, film, and visual art, Paul Dobraszczyk reconnects the imaginary city with the real, proposing a future for humanity that is firmly grounded in the present and in the diverse creative practices already at our fingertips. The introduction of iron – and later steel – construction and decoration transformed architecture in the nineteenth century. While the structural employment of iron has been a frequent subject of study, this book re-directs scholarly scrutiny on its place in the aesthetics of architecture in the long nineteenth century. Together, its eleven unique and original chapters chart – for the first time – the global reach of iron’s architectural reception, from the first debates on how iron could be incorporated into architecture’s traditional aesthetics to the modernist cleaving of its structural and ornamental roles. The book is divided into three sections. Formations considers the rising tension between the desire to translate traditional architectural motifs into iron and the nascent feeling that iron buildings were themselves creating an entirely new field of aesthetic expression. Exchanges charts the commercial and cultural interactions that took place between British iron foundries and clients in far-flung locations such as Argentina, Jamaica, Nigeria and Australia. Expressing colonial control as well as local agency, iron buildings struck a balance between pre-fabricated functionalism and a desire to convey beauty, value and often exoticism through ornament. Transformations looks at the place of the aesthetics of iron architecture in the late nineteenth and early twentieth centuries, a period in which iron ornament sought to harmonize wide social ambitions while offering the tantalizing possibility that iron architecture as a whole could transform the fundamental meanings of ornament. 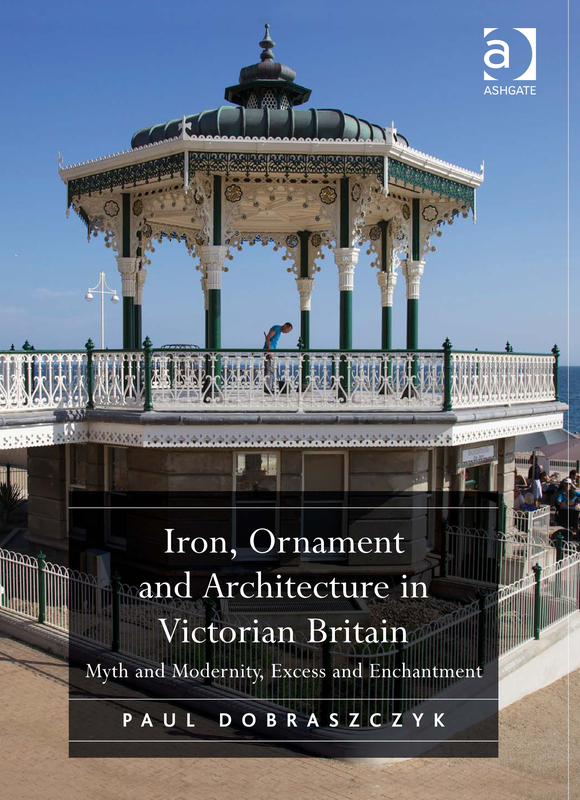 Taken together, these chapters call for a re-evaluation of modernism’s supposedly rationalist interest in nineteenth-century iron structures, one that has potentially radical implications for the recent ornamental turn in contemporary architecture. Rest your eyes long enough on the skylines of Delhi, Guangzhou, Jakarta—even Chicago or London—and you will see the same remarkable transformation, building after building going up with the breakneck speed of twenty-first-century urbanization. But there is something else just as transformative that you won’t see: sprawling networks of tunnels rooting these cities into the earth. Global Undergrounds offers a richly illustrated exploration of these subterranean spaces, charting their global reach and the profound—but often unseen—effects they have on human life. The authors shine their headlamps into an astonishing diversity of manmade underground environments, including subway systems, sewers, communications pipelines, storage facilities, and even shelters. There they find not only an extraordinary range of architectural approaches to underground construction but also a host of different cultural meanings. Underground places can evoke fear or hope; they can serve as sites of memory, places of work, or the hidden headquarters of resistance movements. They are places that can tell a city’s oldest stories or foresee its most distant futures. They are places—ultimately—of both incredible depth and breadth, crucial to all of us topside who work as urban planners, geographers, architects, engineers, or any of us who take subway trains or enjoy fresh water from a faucet. Indeed, as the authors demonstrate, the constant flux within urban undergrounds—the nonstop circulation of people, substances, and energy—serves all city dwellers in myriad ways, not just with the logistics of day-to-day life but as a crucial part of a city’s mythology. Comprehensively illustrated and richly researched, this book presents the most sustained study to date of the development of mechanised architectural ornament in iron in nineteenth-century architecture, its reception and theorisation by architects, critics and engineers, and the contexts in which its flourished, including industrial buildings, retails and seaside architecture, railway stations, buildings for export and exhibition, and street furniture. Appealing to architects, conservationists, historians and students of nineteenth-century visual culture and the built environment, this book offers new ways of understanding the notion of modernity in Victorian architecture by questioning and re-evaluating both Victorian and modernist understandings of the ideological split between historicism and functionalism, and ornament and structure. London’s sewers could be called the city’s forgotten underground: mostly unseen spaces that are of absolutely vital importance, the capital’s sewers nonetheless rarely get the same degree of attention as the Tube. 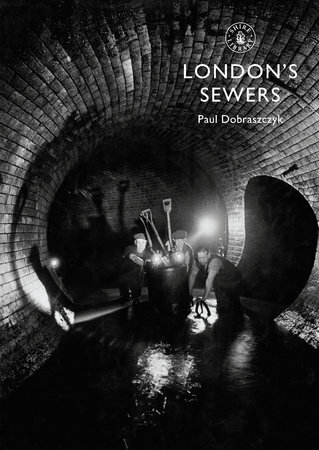 This book outlines the fascinating history of London’s sewers from the nineteenth century onwards, using a rich variety of illustrations, colour photographs and newspaper engravings to show their development from medieval spaces to the complex, citywide network, largely constructed in the 1860s, that is still in place today. 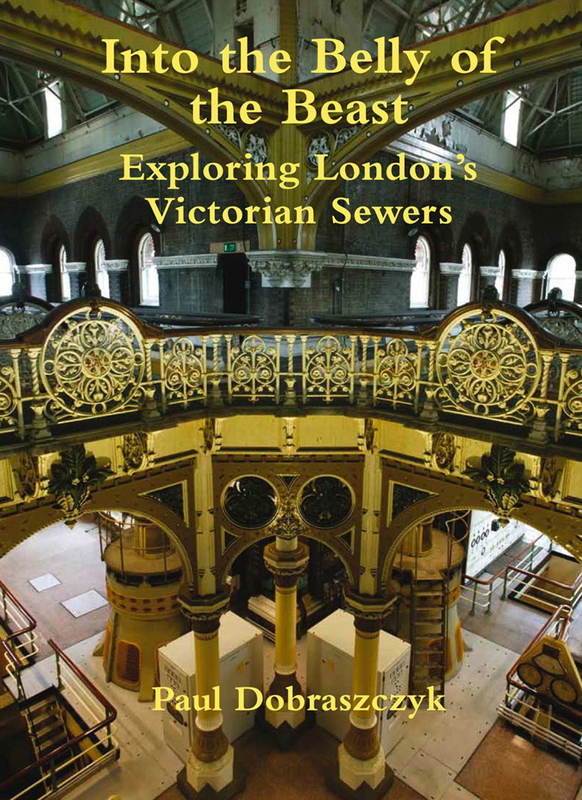 This book explores London’s sewers in history, fiction and film, including how they entice intrepid explorers into their depths, from the Victorian period to the present day. In this innovative look at the underbelly of Victorian London, Paul Dobraszczyk offers a new account of how the city’s sanitation was revolutionised in the 1850s and 1860s by means of gigantic new sewers and magnificent pumping stations. He focuses on the question of how these new spaces were understood and represented – by both those who planned and promoted them (reformers and engineers) and also by those whom they impacted, namely London’s populace. Richly illustrated with maps, engineering drawings, newspaper engravings, and architectural photographs, this book suggests new ways of understanding London’s sewers and makes visible these vital, yet hidden spaces of the city.